Most of the National Parks and State Forests around Brisbane were closed this week because of recent heavy rain. 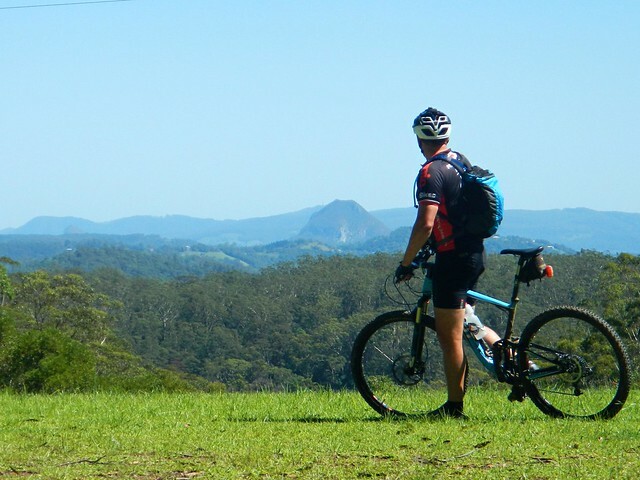 Luckily, Mapleton National Park (about 100km North of Brisbane) was open, so a few of us decided to go for a ride up there this morning. 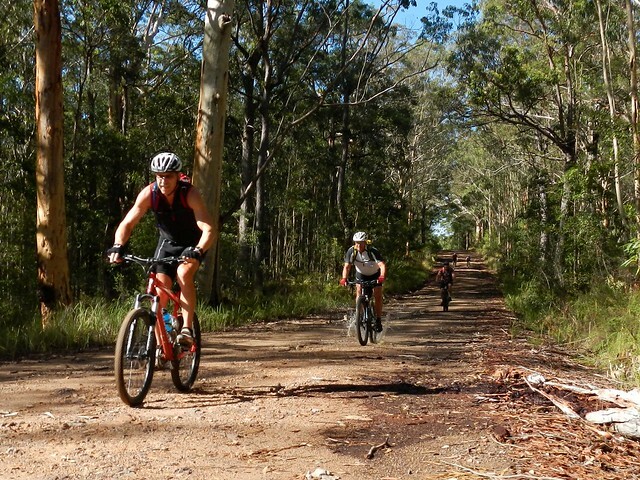 We started in Mapleton, and rode northwards along the main vehicle track through some beautiful open Eucalyptus forest towards Cooloolabin Dam. At the dam, we decided to take our chances and took the less-travelled fire trail to the west. The track was covered in fallen branches, bark, and a couple of fallen trees. But it was rideable. We only had to climb over one large fallen tree. 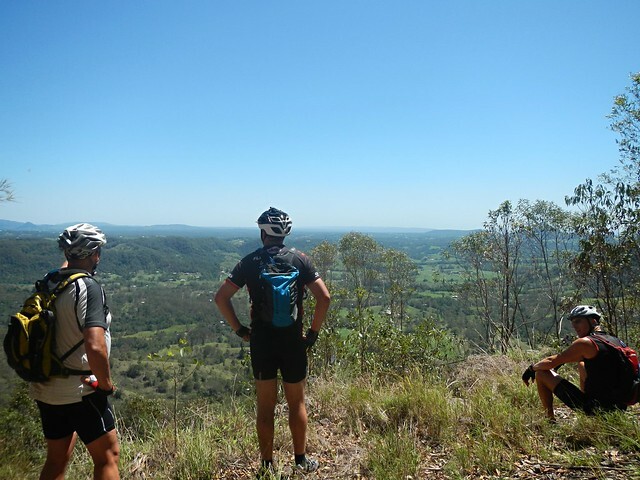 The climb up to the lookout is hard work, but it’s worth it for the great views. 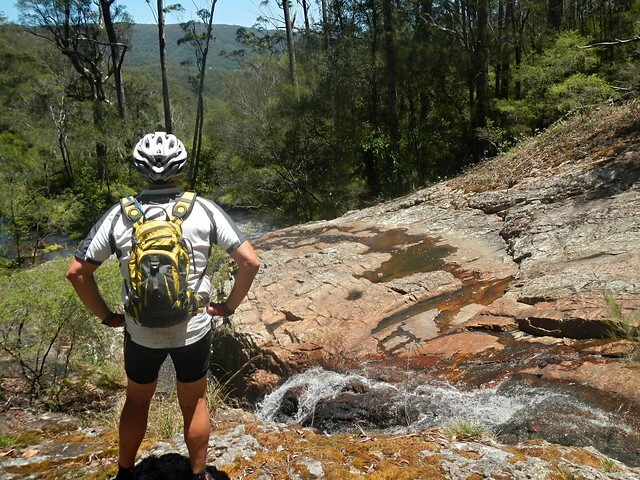 From the lookout it’s a quick fast descent back down the hill to Cooloolabin Dam. On the way back up to Mapleton from the Dam, we stopped at the waterfalls on East Cedar Creek to enjoy yet another spectacular view. 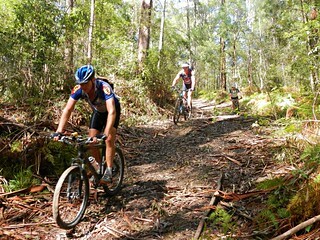 The steep ride back up the hill to Mapleton was tough, but the Eucalyptus trees looked stunning after all the rain. 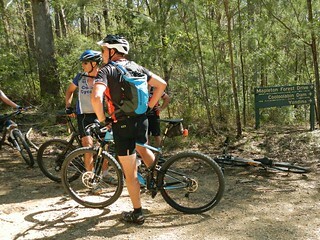 Many thanks to Becca, Jason, Simon, and Ron; and also to local riders Dave and Ross. I really enjoyed being able to share such a perfect day with a great bunch of people. This was a lot tougher ride than I anticipated. 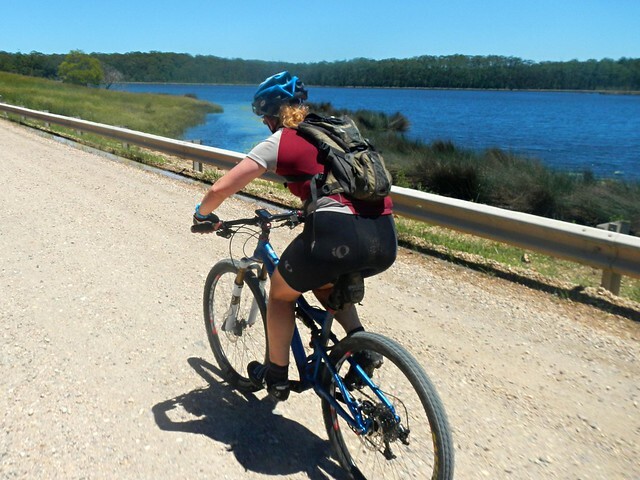 It’s only 22km from Mapleton to Point Glorious, so it’s a 44km out-and-back ride. 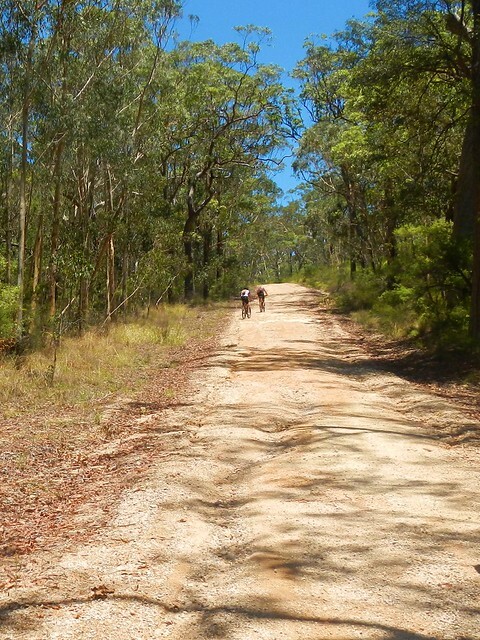 But there are some long climbs between Mapleton and Cooloolabin. 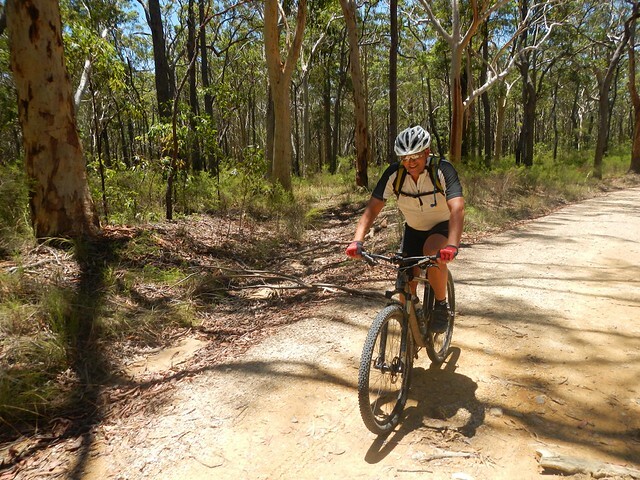 The hot and humid summer weather and the muddy branch-strewn path west of Cooloolabin added to the challenge. 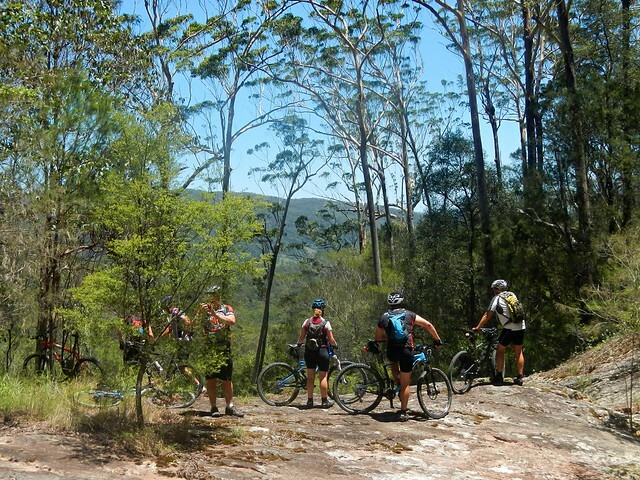 Today we climbed 1,100m in 44km in just over four and a half hours including breaks. I burned 3,000 kcal. Based on today’s conditions I think this ride deserves 8.5 out of 10 on the tough-o-meter. In cooler months when the tracks are drier and there’s less debris laying around, I’d rate it 7.5. Nice photos Neil. Looked liked it was a great day out.